Back at the Noosa library using their lightning fast internet. Not having a proper base is tedious sometimes. While everyone on the media is spruiking the end of last week’s crisis crisis (hah! 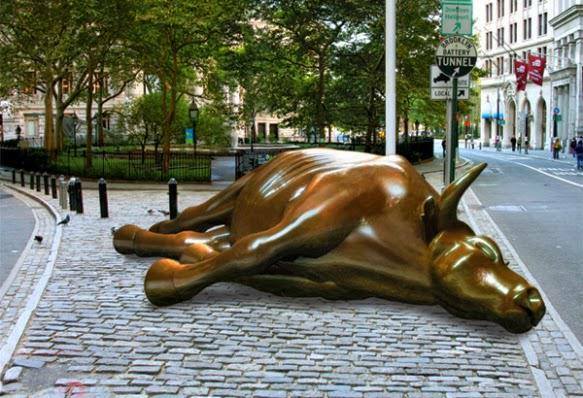 ), Gail Tverberg has published a stupendous article on her blog titled Deflationary Collapse Ahead? Perhaps most of you have already read it, but I found it interesting that she’s getting more and more pessimistic with every post….. The big thing that is happening is that the world financial system is likely to collapse. Back in 2008, the world financial system almost collapsed. This time, our chances of avoiding collapse are very slim. Without the financial system, pretty much nothing else works: the oil extraction system, the electricity delivery system, the pension system, the ability of the stock market to hold its value. The change we are encountering is similar to losing the operating system on a computer, or unplugging a refrigerator from the wall. We don’t know how fast things will unravel, but things are likely to be quite different in as short a time as a year. World financial leaders are likely to “pull out the stops,” trying to keep things together. A big part of our problem is too much debt. This is hard to fix, because reducing debt reduces demand and makes commodity prices fall further. With low prices, production of commodities is likely to fall. For example, food production using fossil fuel inputs is likely to greatly decline over time, as is oil, gas, and coal production. The electricity system, as delivered by the grid, is likely to fail in approximately the same timeframe as our oil-based system. Nothing will fail overnight, but it seems highly unlikely that electricity will outlast oil by more than a year or two. All systems are dependent on the financial system. If the oil system cannot pay its workers and get replacement parts because of a collapse in the financial system, the same is likely to be true of the electrical grid system. Our economy is a self-organized networked system that continuously dissipates energy, known in physics as a dissipative structure. Other examples of dissipative structures include all plants and animals (including humans) and hurricanes. All of these grow from small beginnings, gradually plateau in size, and eventually collapse and die. We know of a huge number of prior civilizations that have collapsed. This appears to have happened when the return on human labor has fallen too low. This is much like the after-tax wages of non-elite workers falling too low. Wages reflect not only the workers’ own energy (gained from eating food), but any supplemental energy used, such as from draft animals, wind-powered boats, or electricity. Falling median wages, especially of young people, are one of the indications that our economy is headed toward collapse, just like the other economies. The reason that collapse happens quickly has to do with debt and derivatives. Our networked economy requires debt in order to extract fossil fuels from the ground and to create renewable energy sources, for several reasons: (a) Producers don’t have to save up as much money in advance, (b) Middle-men making products that use energy products (such cars and refrigerators) can “finance” their factories, so they don’t have to save up as much, (c) Consumers can afford to buy “big-ticket” items like homes and cars, with the use of plans that allow monthly payments, so they don’t have to save up as much, and (d) Most importantly, debt helps raise the price of commodities of all sorts (including oil and electricity), because it allows more customers to afford products that use them. The problem as the economy slows, and as we add more and more debt, is that eventually debt collapses. This happens because the economy fails to grow enough to allow the economy to generate sufficient goods and services to keep the system going–that is, pay adequate wages, even to non-elite workers; pay growing government and corporate overhead; and repay debt with interest, all at the same time. We don’t know how fast things will unravel, but things are likely to be quite different in as short a time as a year…..
Needless to say, that one line blew me away. Even though I’m well aware of how badly things are going, I still scare myself silly reading this stuff. I have twelve months to get my act together at Mon Abri MkII, but literally no one I know believes a word of it or does anything about it. Some are even doing everything the wrong way and exposing themselves to losing everything…. Further reading that may interest you all too is Tom Murphy’s latest report on his EV experiment. Titled My Chicken of an EV, Tom clearly shows why he believes batteries will disappoint…. While obligated to point out the financials, I am the last to feel enslaved by a strict dollars-and-cents analysis. There are other reasons to go for an EV: reduced reliance on petroleum, solar charge capability, quiet, efficient, support of a nascent technology, etc. For me, energy is a hobby. I buy an expensive car and expensive solar batteries because I want to learn more about their pros and cons. In part, I am glad that I can export what I learn to the people. Most folks do not have the financial or technical capabilities to look into possibly-hyped technologies and report, free of financial agenda. I am not yet personally convinced that we will see an EV revolution. Gasoline price fluctuations are a short-term killer of long-term planning. Batteries still do, and likely always will, disappoint. I am learning similar lessons on the nickel-iron battery front. We may have to face the fact that gasoline has been the ultimate transportation fuel, and the economists’ picture of universal substitutability may not apply. If EVs can never really outperform gasoline in cost, ease/simplicity, convenience, and robustness—and if they remain expensive to own and maintain, from where will the prosperity derive for us to all have such marvelous toys? Meanwhile, I will continue to enjoy my EV and my chickens while they last, as a lifestyle choice. The cost per egg or cost per mile certainly do not justify them. So we need to be satisfied by other reasons. Tom is apparently working on another report on the NiFe batteries I’m hoping to install in Geeveston, and he has prepared all his readers for some more disappointment. Hopefully, he hasn’t understood exactly how they are meant to be used, so watch this space. John Doyle, if you read this, how do I get in touch with you? Eight more sleeps, and I’m off into the Tasmanian sunset. Things have been quiet on the DTM front since moving out of Mon Abri. Having inherited my mother’s smart phone, I have actually mastered (well, kind of…) the art of mobile internet, but I draw the line at writing blog posts on those small screens. We are still waiting for an internet connection at my MiL’s place, and hopefully it will arrive before I leave for Tasmania on the 5th of September, and I am typing this at the Noosa Library where the net is actually very fast. It looks like we sold just in time and getting out of debt when we did was a bonus. But now I worry our money might devalue before I have a chance to spend it all. It certainly looks like the Chinese bull has been slain, and the red ink is flowing – or is that red LED’s in this new modern world of algorithmic trading by digital means? Our treasurer is lying through his teeth – as usual – telling the world and anyone stupid enough to listen, that ‘the fundamentals’ are just fine, when in fact they are thoroughly broken. Even the young lady making market announcements on ABC TV’s morning news admitted it was her job to say this was a mere correction and not a crash….. I kid you not! I even heard some ‘expert’ pronounce that China’s official growth figures of 7% were way overblown, and were more likely to be between 0 and 4%. Zero? Yep, that’s what she said…. Chinese state and private debt currently total about 300% of GDP. If you think that the GDP number they publish is too high, the debt percentage goes even higher. China has a lot of debt any way you look at it, and much of it is dollar-denominated, hence the recent devaluation of their currency which seems to have triggered this current crash. Central banks will come up with more, much more, ‘stimulus’, but what China teaches us today is that we’re woefully close to the moment when central banks will lose the faith and trust of everyone. After injecting tens of billions of dollars in markets, which thereby ceased to function, the global economy is in a bigger mess than it was prior to QE. The whole thing is one big bubble now, and we know what invariably happens to those. Raúl Ilargi Meijer nails it here in my opinion…..
And then there’s oil……. trading at under $38 as I type. Who would have believed this a couple of years ago? And petrol is still as dear as it was when oil hit $147 in 2008. I guess if the oil companies can’t make a profit at the front end, they have to recoup their losses at the bowser…. The ‘missing bits’ at the front (North facing side) are literally all double glazing, and I may even triple glaze the bits in the peak that light the triangular wedge at the back. Starting in the middle, which is the living space, the low wall is under the kitchen windows. The blank wall is the pantry/store room which is a replica of the one I built in Cooran, complete with hot water storage tank; the ‘new AGA’ will be against the right hand wall of this room, connected to the hot water tank. To the left of that is a bathroom, and to the left of that will be a bedroom. The other end of the house is a mirror image, sans the pantry…. With all that thermal mass and heavy insulation, I expect this house to never drop below 18 degrees, even when it snows outside, as it would have done recently when Tasmania experienced low level snow three times in a fortnight! Now all I need is a draftsman to finalise my plans………. any takers? Eleven more sleeps, and I’m off to the deep South…… and not too late either, it’s already getting almost too warm for me already up here in the sub tropics. More Climate Change bad news….. Sorry to be so long away but I’ve been on the road one way or another for 7 of the last 8 weeks, most recently in Indonesia on the islands of Java and Sumatra. One of the main foci of my research these days is on the climate and land use interactions behind the peat fires that plague the region. 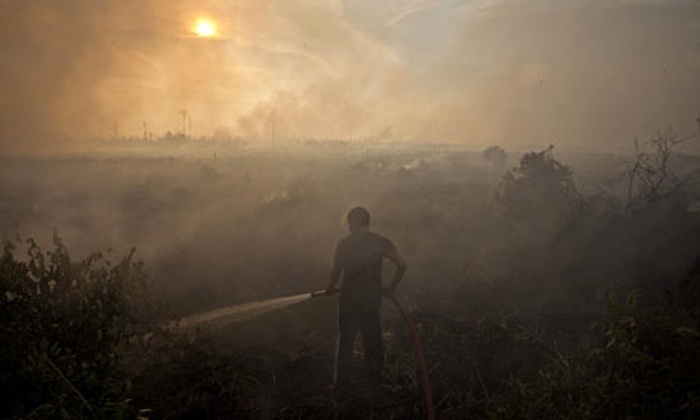 Ever since the major El Nino of 1997-98 peat fires in Central Kalimantan (Indonesian Borneo) and Riau and Jambi provinces on Sumatra have become a near annual occurrence with the situation being simply a matter of degree. The situation is another self-inflicted ecological disaster that is man-made. Peat swamp forests were cleared to grow massive quantities of oil palm, and rice in a madcap clearance of 1,000,000 ha in the case of Kalimantan. The forests sat over several meters of peat that had been laid down over more than 20,000 years. In order to utilize these lands it wasn’t sufficient to clear the forests, the lands needed to be drained with thousands of kilometers of canals. Draining tropical peat lands is the equivalent of melting Arctic/boreal permafrost. It turns a sequestered pool of carbon into one that can be actively metabolized by microorganisms and also burned when dry enough. In short, they become another source of carbon emissions to the atmosphere. This is why Indonesia ranks 3rd in global emissions these days. This is what Riau province looked like last year. I just came from there, having been out with firefighters like the one shown. While things have calmed down for the moment, there are numerous peat fires currently smoldering across the region, having been burning for more than a month already. Once the fires go to ground in the peat it is nearly impossible to extinguish them. They tend to burn until the heavy rains of the wet season flood the lands. A few years earlier I was doing field work in Kalimantan when similar conditions of extensive burning and massive haze conditions covered the region. When we came out of the field, we were unable to leave the region because all planes were grounded for over a week. We eventually gambled on a long drive to the coast to escape the region instead. The regional haze is a toxic mix of gases and particulates that cause thousands of illnesses and deaths. They reach beyond Indonesia and bedevil Singapore among other places. I raise these points because these conditions are at their worst during El Nino events. At the end of the month we will ‘officially’ meet NOAA’s El Nino definition (I believe the Aussies already acknowledge the obvious). All models call for the strongest El Nino since 1997-98, with an 80% chance it will continue until at least the end of spring next year (Northern Hemisphere spring that is!). This is what global precipitation patterns are likely to look like in general for the next three months. That big red blob of very dry conditions sits right on Indonesia. If I finally exit the two year bureaucratic quagmire I have been in, as now seems likely, I should be leading a field team testing emissions from the peat fires in Kalimantan come mid October. It should be interesting if unhealthy. Lest anyone think that science is nothing but sitting at a desk number crunching, the scientists and equipment I have coming in to do the sampling were most recently in Nepal on another project when the earthquake hit, dropping a building on their equipment but thankfully not them. As for me, during the 1997-98 El Nino I was over in that other dry blob that affects the Amazon standing in the midst of a 1,000 km2 forest fire that happened to burn through my plots while I was in them. Always get the data! Cochrane et al. 1999, Science. Well……. no, I haven’t won a couple of million bucks, but I have an AGA lined up for Geeveston. And what a find…. sometimes your stars just all line up. 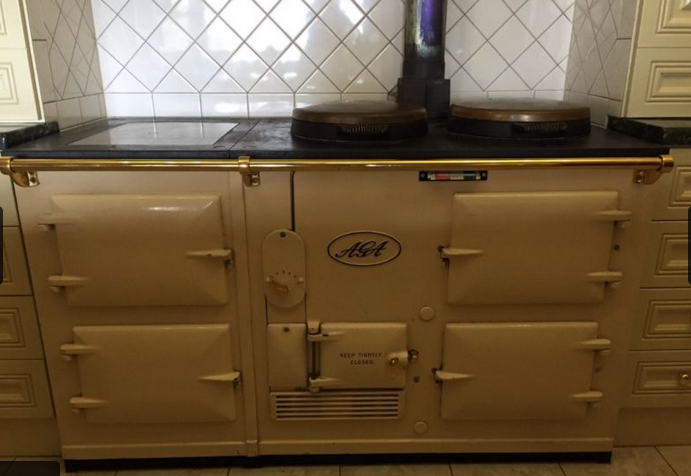 For no particular reason, I jumped on Gumtree again the other day to see if there were any AGAs for sale. They occasionally come up, which is how I got the one I used to finish off the range residing in Mon Abri. And there it was…. 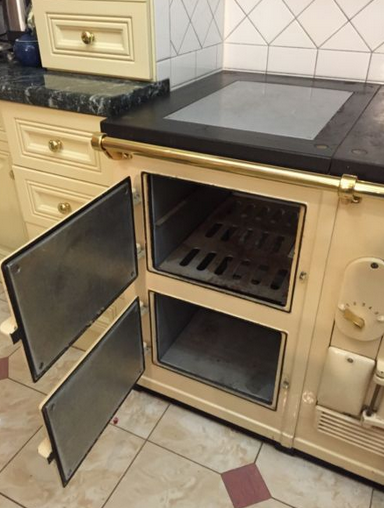 not any old AGA, but a four oven version, already converted to wood! There was only one photo of it on the advert, and it looked great, so, having money to actually pay for it, I rang Melissa to get the info I needed, and the one other thing I wanted, a wet back, is attached to the stove. She sent me more photos, and I made her an offer she could not refuse. It’s not perfect, as it turns out. The firebox is cracked for one thing, and both dome lids have totally worn out chrome, probably from decades of overzealous cleaning. Because it has to be dismantled (by a secret society AGA mechanic of course!) 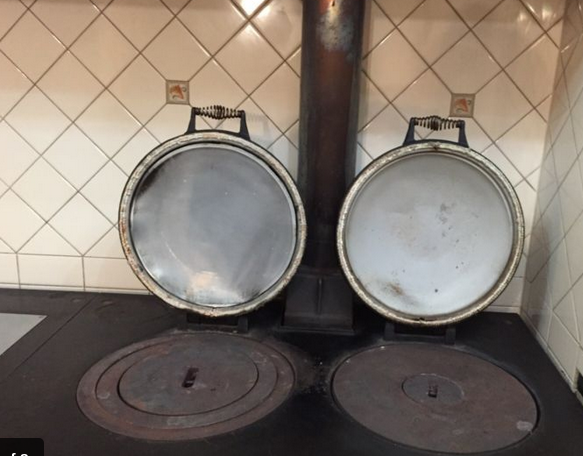 to be removed from its kitchen, replacing the firebox will not be a big deal, though it might cost a fair bit depending on which way I decide to attack the problem. Another AGA saga will occur, as soon as I can manage to do a return trip from Geeveston to Adelaide where Melissa will store the dismantled behemoth for me to pick up with the ute. I guesstimate that I can have it re erected in working order in Mon Abri MkII for maybe $5000, or less than half the cost of importing a refurbished one from the UK, so all that driving will hopefully be worth it, fingers crossed no other surprises sneak up on me post dismantling. The moving out of Mon Abri was sad, traumatic, exhausting, and, for its new owners, their first night will be one to remember, for all the wrong reasons…… a freak storm (in August? what climate change…..?) that had wind strong enough to drive rain horizontally under the back verandah far enough to fill the gumboots against the house, challenged the flashings to such an extent rain poured into the house all along the clerestory window line…… something that had never ever occurred before in ten years of us living there. The panic in Scott and Amanda’s voice when they rang to inform me of their terrible experience was palpable, and me…….. well I was speechless. Firstly, it really had never happened before, and for this to occur on their very first night was just gobsmacking. All I could think of was how they were probably thinking we’d sold them a lemon and done a runner….. I grieve for my house now…… leaks and all. My mother in Law’s house is freezing in the morning (even though it must be a full five degrees warmer there than in Cooran), there is no AGA to make my coffee on, and the chlorinated water has to be boiled before drinking (or coffee making!) so awful is its taste after drinking tank water for all those years…. Her kitchen, after my beloved one in Cooran, is an abomination, the hot water coming out the tap isn’t even hot…. how does anyone live like this..? My sheltered life has been shattered….. may the next few months go quickly so I can return to it! Urban Renewal is the reason I have to sit in traffic for 25 minutes just to get from one side of my suburb to the other. By car. Urban Renewal is the reason I have to stand on the edge of the road for 10 minutes and then play chicken to get from one side to the other. One week. That’s all that’s left of a thirteen year trek to sustainability, an experiment from which much was learned, soon to be implemented in the Tasmania Project. The last three or so weeks have been a total whirlwind….. As soon as we accepted the offer on Mon Abri, planning the final move hot on the heels of our first attempt last Easter was well underway. But life has ways of throwing spanners in your wheels. Firstly, my mother suddenly died. Aged 85 and riddled with cancer, no one was surprised, except for the final sudden and unbelievably quick and merciful end. You can make yourself believe that you are ready for a life changing event like the death of a parent or a move of the proportions we are undertaking in the face of ‘knowing all the facts’, but finally, it’s still shocking. No amount of pinching yourself when you wake up in the morning changes a thing. Life’s like that. The real irony was that she used to say once we’d move to Tasmania she’d never see us again….. now it’s we who will never see her again. I’ve bought another ute. Not just any ute, but almost exactly the same one Alex and I drove down to Tassie those few short months ago. I paid a lot more than $200 for this one, but apart from giving it the same oil changes I gave the other, this vehicle is in unbelievably good order for its age, needing nothing done to it. With four new tyres, a brand new ignition system, a new radiator, and a brand new windscreen that makes me realise how chipped all my last few cars’s windscreens were, this one drives like it’s just come out of the showroom. I’ve deduced it must have hardly moved at all in the past five years, and is very very low mileage for its age. I’m very confident it will treat me well on my next (and final) trek to Tassie. The number of things that have ‘gone wrong’ though still amaze me when I think about them. It started with the lock to our bedroom jamming in the door. Then the transfer pump to the header tank packed up, tripping circuit breakers with every attempt to make it pump. The motion sensor that automatically switches the light on in the pantry then decided to pack it in too, as did the CFL lamp in the laundry, now replaced with a new LED bulb. As if that wasn’t enough, the battery in the rideon mower curled up its toes too….. But it was the AGA’s shenanigans that put the icing on the cake as far as failures go. I’ve spent some time lately with our buyers, ‘workshopping’ life in Cooran. One of the things I had to teach them was starting the AGA and keeping it running. 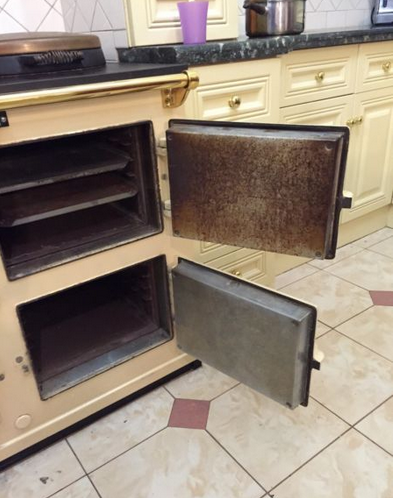 What a disaster…….. smoke everywhere, even coming out of the ovens! The flue was obviously blocked up, even though I had cleaned it twice in less than a week by tapping it and dislodging the black crap therein and vacuuming it out of the flue box…… so I showed them how to do that too (making it the third ‘clean’ in a week), but even though it restarted well, by the next morning I knew things were not right. Scott had expressed interest in learning how to sweep the flue, so we decided this was as good a time as any. It’s all my fault, of course…… last year I cut down one of those pesky Camphor Laurels, a common noxious weed variety of trees around here that are spread through birds eating their seeds and dropping them everywhere in nice packets of fertiliser. It turns out, after Scott did his own research, the wood from those trees is as close as nature will come to making toxic waste! Camphor Laurel Cinnamomum camphora contains significant amounts of various chemicals known or suspected of being toxic and/or carcinogenic, which obviously create loads of horrible smelly creosote type deposits in your flue in amounts far greater than I have ever experienced from burning proper firewood. Lured by its ability to burn ferociously and heating the stove quickly, I was merely clogging up my flue and choking my poor old stove. And it’s probably a good thing none of our neighbours are downwind too, because Glenda’s been complaining about the smell of the smoke which at times I have to admit was a bit on the acrid side. Why I never put two and two together until just now is embarrassing, really…. The AGA’s all good again, and I’ve shown Scott what CL looks like to make sure he never puts another piece of that evil stuff down the stove ever again. And let that be a warning to anyone reading this who also uses firewood for energy. All we have left to do now is pack…… and letting go of thirty years of accumulating stuff we don’t need. Precisely what I should be doing instead of writing this. DTM may be inactive for some time now until we get on top of everything. Based on current greenhouse gas emissions, the world is on track for 4C warming by 2100 – well beyond the internationally agreed guardrail of 2C. To keep warming below 2C, we need to either reduce our emissions, or take carbon dioxide out of the atmosphere. Two papers published today investigate our ability to limit global warming and reverse the impacts of climate change. The first, published in Nature Communications, shows that to limit warming below 2C we will have to remove some carbon from the atmosphere, no matter how strongly we reduce emissions. The second, in Nature Climate Change, shows that even if we can remove enough CO2 to keep warming below 2C, it would not restore the oceans to the state they were in before we began altering the atmosphere. Currently, we’re at 400 parts per million – rising from 280 ppm before the industrial revolution. To project future climate change the Intergovernmental Panel on Climate Change (IPCC) uses a range of emissions scenarios called Representative Concentration Pathways (RCPs), based on different economic and energy use assumptions. In the high scenario, RCP8.5, emissions continue to grow from our present rate of 37 billion tonnes of CO2 per year to about 100 billion tonnes of CO2 in 2100, when atmospheric CO2 levels are projected to be 950 ppm. This scenario assumes little mitigation of our carbon emissions. In the low scenario, RCP2.6, emissions rise slowly till the end of this decade to about 40 billion tonnes CO2 each year and then start to decline. Amongst the IPCC emission scenarios, only the RCP 2.6 appears capable of limiting warming to below 2C. With RCP 2.6 at the end of the century atmospheric concentrations is about 420 ppm, and only 20 ppm above the present value. Present emissions are tracking close to the highest scenario (RCP8.5). If we want to keep warming below 2C it requires a substantial reduction in the amount of CO2 released into the atmosphere. We have two options by which to reduce emissions, the first through reducing the use of fossil fuel energy, and the second through Carbon Dioxide Removal (CDR). CDR refers to technologies that remove CO2, the primary greenhouse gas, from the atmosphere. Examples include Biomass Energy with Carbon Capture and Storage (BECCS), afforestation (planting trees), adding iron to the ocean, and directly capturing CO2 from the air. For many CDR technologies the boundary between “climate intervention” (or “geoengineering”) and greenhouse gas mitigation is unclear. However, the goal is the same, enhancing the CO2 current taken up and sequestered by the land and ocean. Can we just remove carbon? The first study, led by Thomas Gasser, used results from 11 Earth System Models, in conjunction with a simple carbon-cycle models to simulate different emissions reductions scenarios associated with the low emissions pathway, RCP2.6. They showed that under all emissions reductions scenarios, even slashing emissions to less than 4 billion tonnes CO2 each year, (greater than a 90% cut in current emissions) is insufficient to limit warming to 2C. This means that some form of CDR will be required to keep warming at less than 2C. The exact level of CDR required depends very much on the emissions reduction achieved, from 2 billion to 10 billion tonnes of CO2 each year in the most optimistic scenario, to between 25-40 billion tonnes CO2 each year in the lowest emission reduction case. This is equivalent to current total global emissions. The study also suggests that the requirements for CDR may indeed be even higher if unanticipated natural carbon cycle (positive) feedbacks were to occur. We may desire the ability to remove more carbon from the atmosphere to compensate for these. The other study, led by Sabine Mathesius, explores whether CDR under high CO2 emissions can achieve a similar environmental outcome to a rapid transition to a low carbon energy use (RCP2.6). It shows that aggressive CDR can only undo the effect of high emissions (RCP8.5) and return the marine environment to either pre-industrial values or the low emission scenario over thousands of years. The ability to undo the damage caused by high emissions reflects timescale of the ocean carbon cycle. While the upper ocean quickly reaches equilibrium with the atmosphere, the deeper ocean takes millennia to restabilise. Such irreversibility of the system is an important consequence and the study provides valuable information to consider as we tackle rising CO2 levels. Both studies are theoretical but they provide an important perspective on the ability of mankind to engineer the climate system and undo the effects of high CO2 levels in the atmosphere. No CDR or suite of CDR technologies exists capable of removing the levels of CO2 at the upper range of what maybe required. This means that, while CDR could aid in limiting global temperatures below 2C, in practice this is not even yet possible, and would not be without risks. This continues to be a very active area of research. While the focus of both studies explore reversing the environmental changes of rising CO2, the climate system is complex and the possibility that mitigation options like CDR could produce unforeseen impacts is high. While reducing carbon emissions is the safest and preferred path for avoiding dangerous climate change and ocean acidification, it is likely that some CDR will be required to achieve this. The authors will be on hand for an Author Q&A on Tuesday, August 4 – Andrew between 3 and 4pm AEST and Richard between 5 and 6pm AEST. Post your questions in the comments section below. 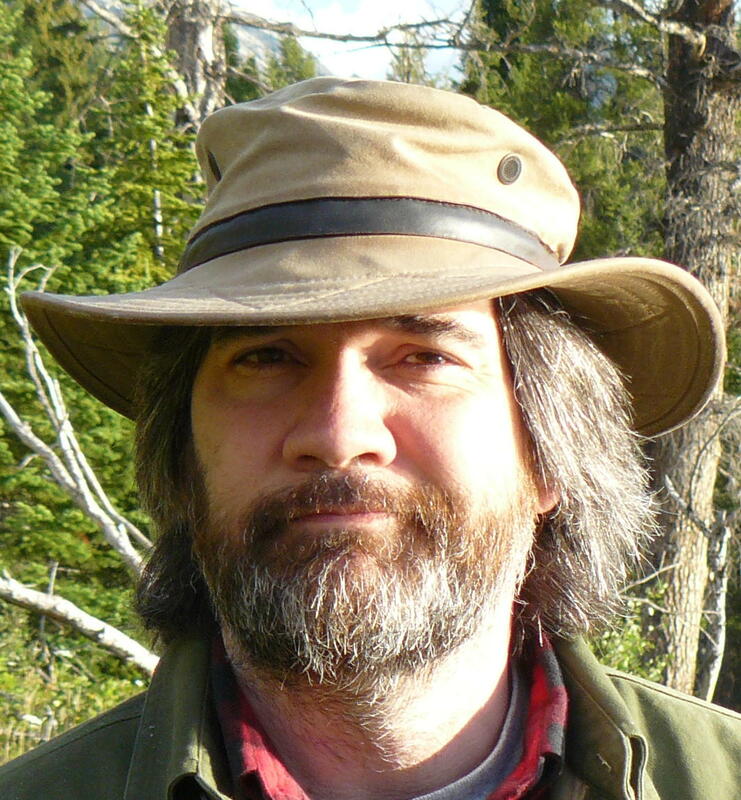 Richard Matear is Senior Research Scientist, Marine and Atmospheric Research at CSIRO. Andrew Lenton is Senior Research Scientist, CSIRO Oceans and Atmosphere Flagship at CSIRO.